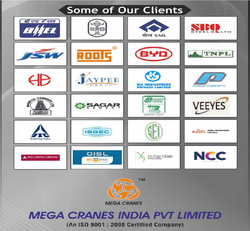 Established in the year 2007, “ Mega Cranes India Private Limited ” are a reputed firm engaged in manufacturing, trading and supplying Material Handling Equipment. Our company is a one of the Government Recognised Micro Small Scale Enterprise(MSE's) located at Coimbatore, Tamil Nadu (India) and is a privately held Corporation with a turnover of Rs. 8 Crores (80 Million INR). We fabricate our products as per IS & BS standards using premium quality raw material. We also provide AMC Services. Our consistent efforts towards providing superior quality products and offering prompt & effective services to our clients helped us in earning market credibility. The phenomenal success, we have achieved in last couple of is attributed to zealous efforts of our professionals. Dedicated and hardworking, they ensure that our products are as per intentions and expectations of our valuable clients. Further, backed by sound infrastructure, we are able to meet bulk requirements for our products. Apart from these, our total quality management helps us in improving quality of our range and make sure that our clients get flawless products. All these factors enable us to operate with utmost efficiency and offer our products at competitive prices. Our company is ably led by our mentor, “Mr. P.S. Mani”, who is charismatic leader and motivates us to excel in every aspect of our operation. Leveraging on his vast knowledge and business acumen, we have gained a vast clientele across the Indian market. 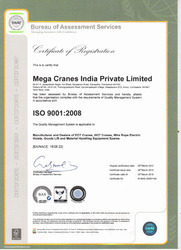 Mega Cranes is ISO 9001 : 2008 Company. We are one of leading manufacturers and suppliers of EOT Cranes, HOT Cranes. M/s. Seshasayee Paper Boards Private Limited,Tamilnadu. M/s. Tamil Nadu Newsprint and Papers Limited, Karur, Tamilnadu. M/s. ITC Limited, Coimbatore, Tamilnadu. M/s. Sri Pathi Paper Board Private Limited,Sivakasi, Tamilnadu. M/s. GMJ Paper Boards Private Limited,Palani, Tamilnadu. M/s. Hari Krishna Papers Limited,Palani, Tamilnadu. M/s. JSW Steels Limited,Salem, Tamilnadu. M/s. Salem Steel Pant, Salem, Tamilnadu. M/s. OCL Iron & Steel Ltd, Sudergarh, Odisha. M/s. RKKR Steels Limited, Chennai. M/s. SBQ Steels, Gudur, Andhra Pradhesh. M/s. Harihar Alloys (P) Ltd., Trichy, Tamilnadu. M/s. Jayachandran Alloys (P) Lts, Coimbatore, Tamilnadu. M/s. Veeyes Alloys Pvt. Ltd., Coimbatore, Tamilnadu. M/s. BIOP Steels & Power Pvt. Ltd., Bellary, Karnataka. M/s. 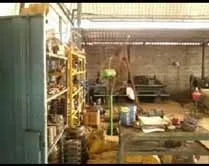 Kollinal Steels & Alloys Ltd, Cochin, Kerala. M/s. Madras Cement Limited, Kancheepuram,Tamilnadu. M/s. Jai Prakash Associates,Madhya Pradhesh. M/s. 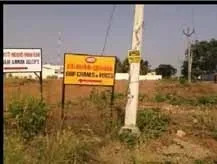 Vicat sagar Cements Private Limited,Gulbarga, Karnataka. M/s. Mahi Cements, Banswara, Rajasthan. M/s. ISGEC Heavy Engg. Ltd (Saint Gobain Project), Noida, U.P. M/s. Baroda Crusher Wares, Ernakulam, Kerala. M/s. Shanthi Engineering Industries, Trichy, Tamilnadu. M/s. TRP Engineering, Trichy, Tamilnadu. M/s. Trichy Engineering Works, Trichy, Tamilnadu. M/s. Balmer Lawrie & Co Limited, Paharpur, Kolkata. M/s. Emcee Engineering Works, Pudukkottai, Tamilnadu. M/s. Sri Energy Valves,Trichy, Tamilnadu. M/s. SRM Enterprises, Pudukkottai, Tamilnadu. M/s. 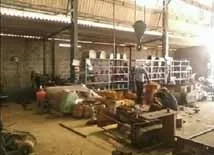 Sree Shanmuga Industries, Pudukkottai, Tamilnadu. M/s. Skillman Engg. Enterprises, Trichy, Tamilnadu. M/s. Lanxess India Private Limited, Nagda, M.P. M/s. P.R. Acoustical and Engg. Works (P) Ltd, Trichy, Tamilnadu. M/s. Varadharajan & Co, Dindigul, Tamilnadu. M/s. Sanpreet Castings Private Limited, Coimbatore, Tamilnadu. M/s. Arthanari Loom Centre (Textile) Pvt. Ltd., Salem, Tamilnadu. M/s. Orbinox Group, Coimbatore, Tamilnadu. M/s. SKS Power Generation (Chhattisgarh) Ltd., Raigarh, Chhattisgarh. M/s. Maa Durga Thermal Power Plant, Odisha. M/s. Green Planet Energy Private Limited,Punjab. M/s. Sine Wave Bio mass Power (P) Ltd., Sangli, Maharashtra. M/s. Aryan Coal Benifications Limited, Chhattisgarh. M/s. Ind - Barath Utkal Energy Ltd., Jharsguda, Odisha. M/s. Vandana Vidyut Nigam Ltd., Korba, Chhattisgarh. M/s. VRaj Integrated Textile Park Limited, Kheda, Gujarat. M/s. Shobika Impex Private Ltd, Karur, Tamilnadu. M/s. Nithya Trading, Karur, Tamilnadu. M/s. Dinesh Dying, Tirupur, Tamilnadu. M/s. Poppys Knit Wear Pvt Ltd, Tirupur, Tamilnadu. We could not have been successful without the support of our diligently hardworking team. Our proficient team of designers, engineers, quality analysts, and other professionals dedicatedly work hard to offer an outstanding range of products to our clients. Because of the team’s sincere efforts, today our company boasts about having annual turnover of Rs. 7 Crore, which is a commendable achievement for a newly established organization.